Available with 2-Ram's and 4 Ram's Horn Hook Option. Heavy center weight affords stability . Tough five-leg epoxy coated steel base. Chrome plated top post assembly. 3" rubber wheel, ball bearing casters. The Brewer Infusion Pump Stand series offers the strength, stability, and versatility that come with Brewer's mission to enhance safety and efficiency for both medical teams and patients. Brewer large and small infusion pump stands offer durability and flexibility for a variety of healthcare environments. The basic stands can be customized with a variety of available accessories: clamp, infusion pump frame, oxygen cylinder holder, and add-a-tray. All Brewer infusion pump products come with a 5 year warranty. 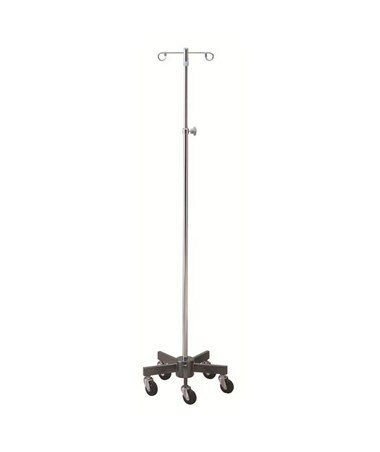 The Short Wheel Infusion Pump Stand is available with 2-Ram's and 4 Ram's Horn Hook Option. 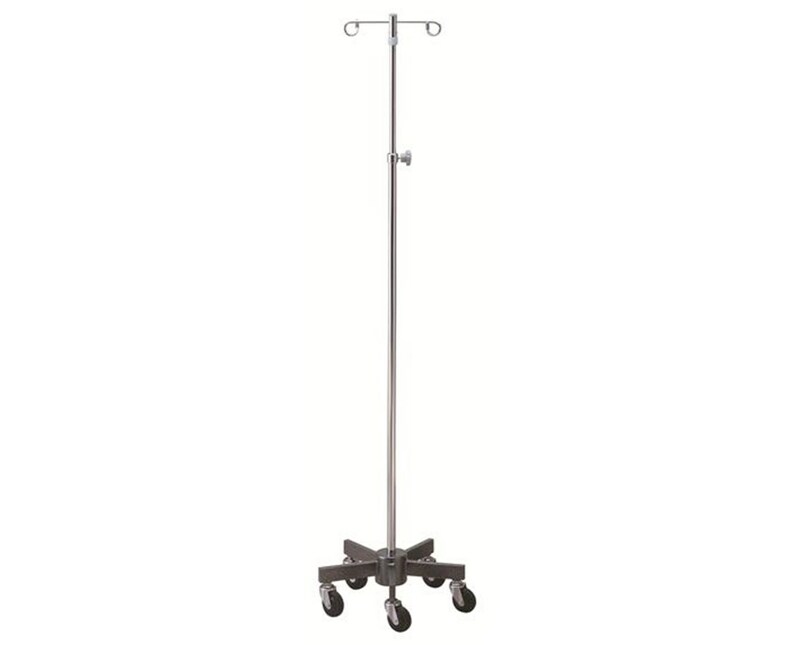 Height Range 54" – 90.5"
5 leg epoxy coated steel base. 3” rubber wheel, ball bearing casters.